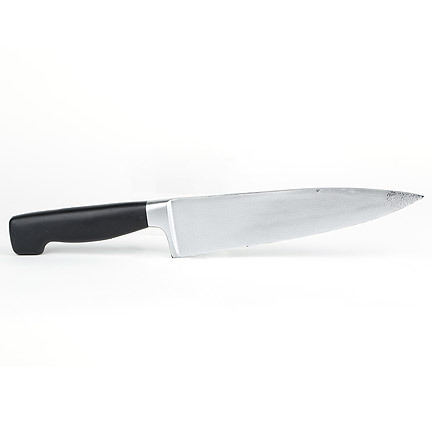 This prop butcher knife was used by the character “Bernie Rose” portrayed by actor Albert Brooks in the 2011 motion picture “Drive” starring Ryan Gosling. 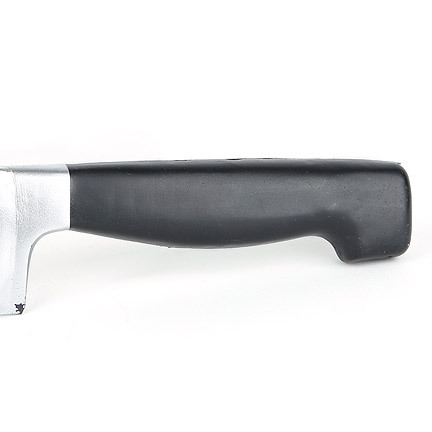 The prop us constructed our of a desne rubber material and is hand painted metallic silver with a black handle. 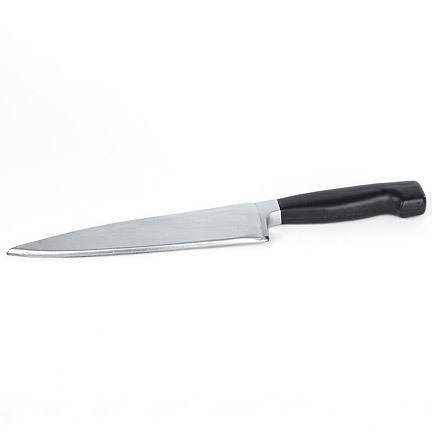 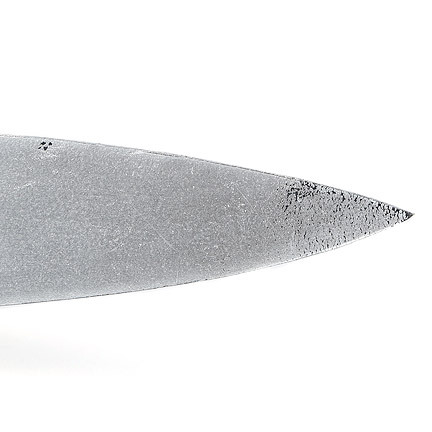 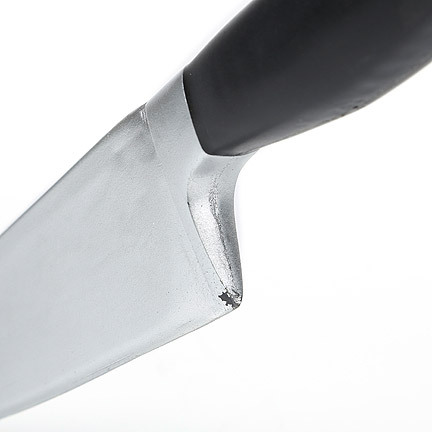 The prop knife was used in the stunt “stabbing” sequence when Bernie stabs “Cook” (James Biberi) in the neck. 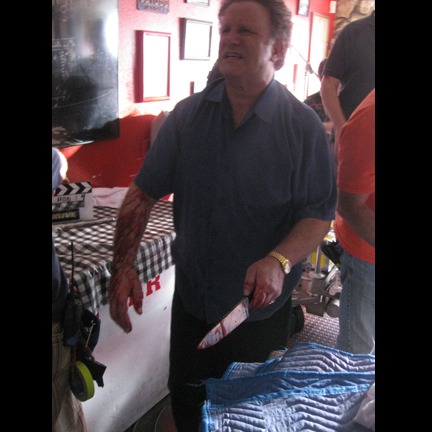 Mr. Brooks used this prop weapon in the scene at Nino’s Pizzeria when Bernie talks with “Nino” (Ron Perlman) and Cook. 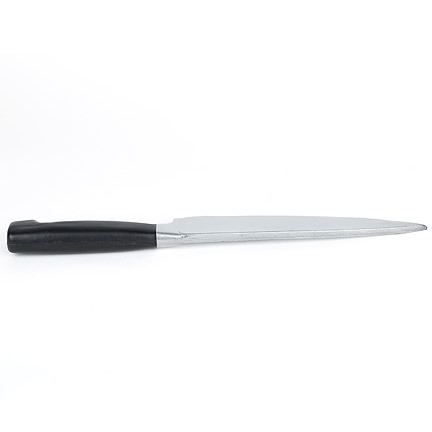 After Nino explains to Bernie that Cook is the only link he has to the botched pawnshop heist involving “Driver” (Gosling), Bernie takes matters into his own hands and stabs Cook in the eye with a fork before stabbing him in the neck with this prop butcher knife. 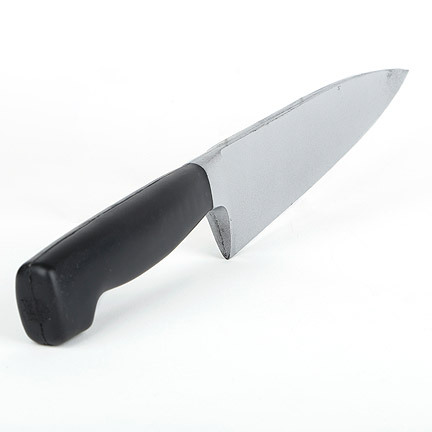 The rubber prop is in excellent screen used condition with the paint from the blade tip chipped from production use. 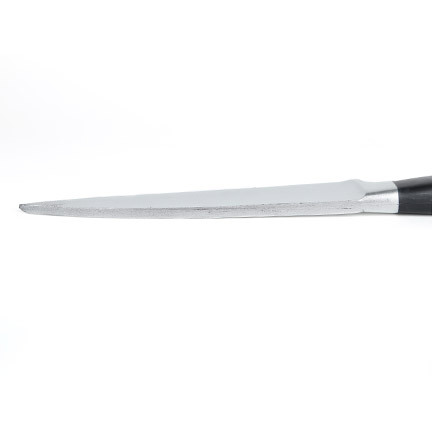 This item was acquired directly from the production company and is accompanied by a letter of authenticity.